Narrow hips, a comfortable leg width and conically tapered hems: these ISCHIKO trousers are a summer basic. They are versatile in combinations, pleasantly comfortable and one hundred percent suitable for everyday wear. Large pockets are gorgeous eye-catchers. The back elastic waistband stands for wearing comfort. 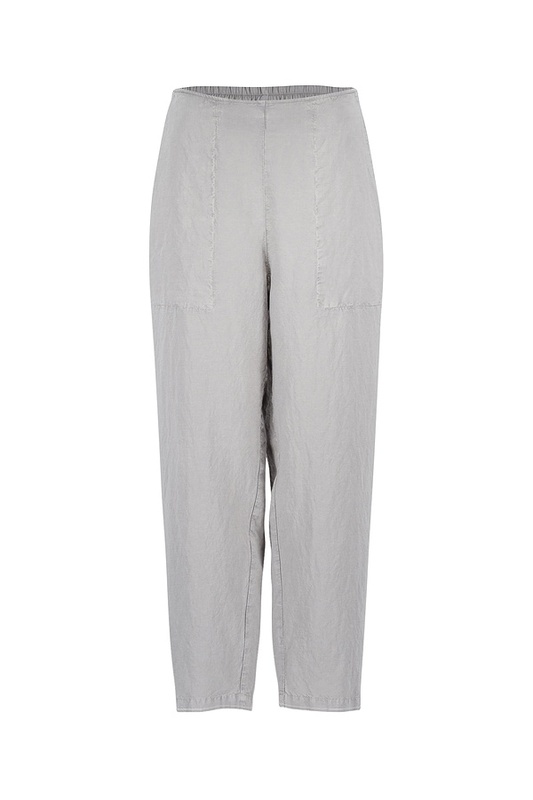 Styling tip: these trousers are especially casual looking with turned up hems.